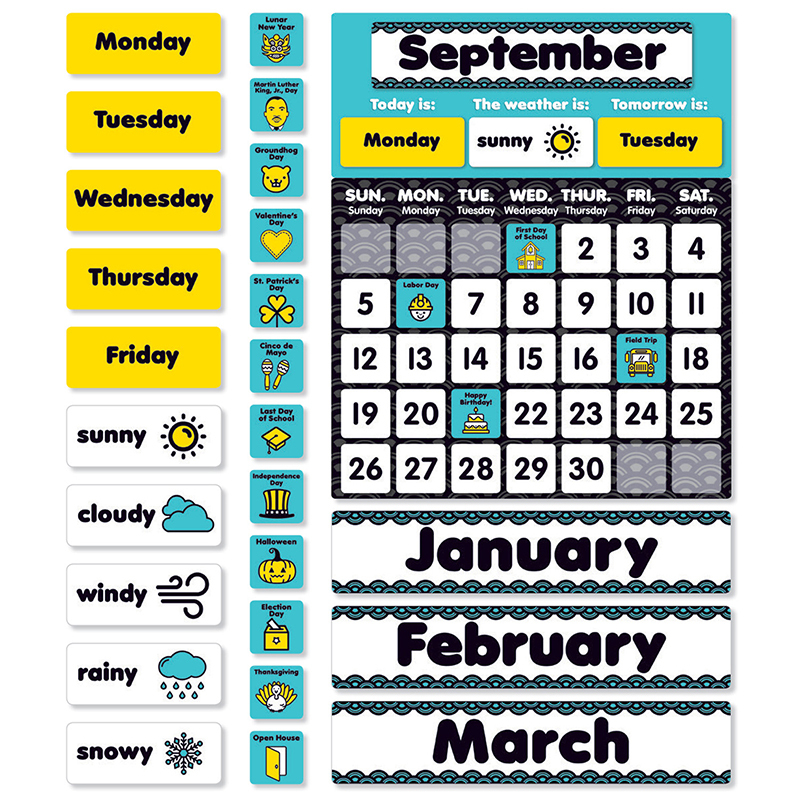 The Aqua Oasis Calendar Bulletin Board can be found in our Classroom Theme product category within the Bulletin Board Sets. 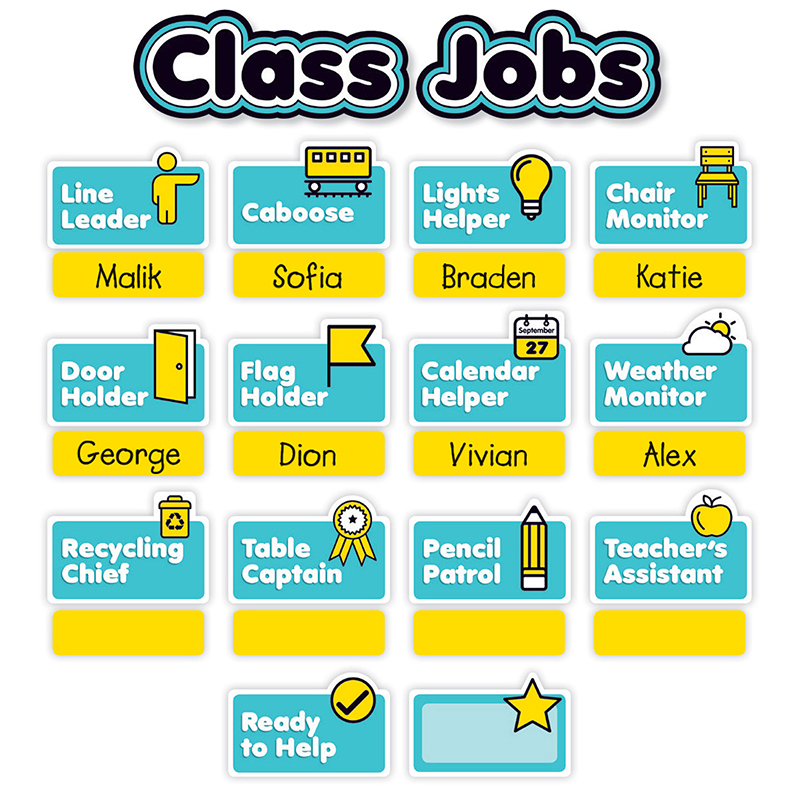 Assigning class jobs is a snap with this delightful bulletin board set. 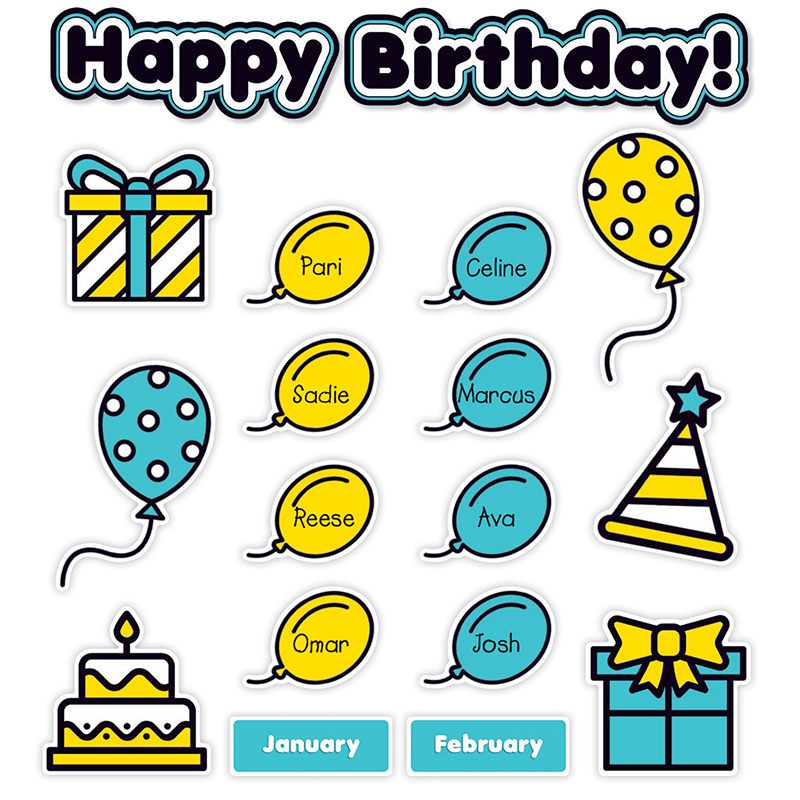 The simple icons are easy-to-understand at a glance and the serene color palette transforms your space into an oasis of learning. Coordinates with the Aqua Oasis line.